Nathan Levit and Matthew Welborn met the President of the United States this month as part of the U.S. Senate Youth Program, an exclusive event that invites 104 young people from across the country to a weeklong insider’s look at Washington, D.C.
Levit, a senior at Booker T. Washington High School in Tulsa who will attend Princeton in the fall, is still unsure of which career to pursue, but his visit to the nation’s capital reaffirmed his passion for public policy. Through the program, he and the other delegates met with prominent officials from every branch of government and related fields, including members of Congress, a Supreme Court justice, an ambassador and members of the media. Their visit with the president included a 40-minute question-and-answer session. Levit is no stranger to rallying the youth voice. Nearly two years ago, he founded Youth for Action, a small group of students who try to get more young people involved in their communities. To do this, they partner with other clubs and write opinion articles from a youth perspective for the Tulsa World. The club has transcended the walls of Levit’s high school, with members now at Notre Dame and in Israel. Both Levit and Welborn said the greatest part of their week was uniting with other exemplary young men and women who live everywhere from New York City to rural Montana. Levit, who has argued for a teen voice on his local school board, said he was inspired by a student delegate from Maryland whose school board includes a student member with the same privileges as any other member. “It made me think there’s a model somewhere else. Maybe it’s possible here too,” Levit said. Welborn is planning to attend the University of Oklahoma for engineering, then a law degree. He had never seriously considered a career in public service but now is considering a role in government. He said his fellow delegates took their once-in-a-lifetime opportunity to ask tough questions and in return got honest answers and solid advice. Oklahoma’s U.S. Sen. Jim Inhofe, who met with the state’s delegates, praised the program, now in its 54th year. When Levit met U.S. Sen. James Lankford, he said was impressed that the senator asked for his opinions on a debate Lankford had just delivered on the Senate floor. Both Levit and Welborn were nominated by the Oklahoma State Department of Education after going through an application process that adhered to the high standards set by the program. The Senate Youth Program is sponsored by the U.S. Senate and fully funded by the Heart Foundation. Alumni of the U.S. Senate Youth Program include Robert Henry, former federal judge, state legislator and Oklahoma attorney general. He is the current president of Oklahoma City University. Other alumni include New Jersey Gov. Chris Christie; Richard Burt, former ambassador to West Germany; Thomas “Mack” McLarty, chief of staff for President Clinton; Karl Rove, deputy chief of staff for President Bush; Sen. Susan Collins of Maine; and Sen. Gory Gardner of Colorado. Delegates generally rank very high academically and have shown great leadership ability and a commitment to volunteer work. For more information on the U.S. Senate Youth Program in Oklahoma, visit: http://sde.ok.gov/sde/social-studies#USSYP. 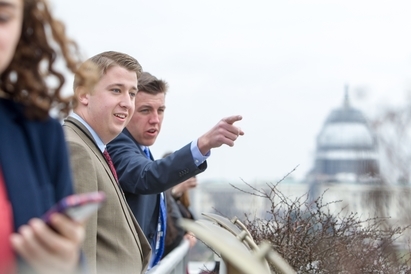 With the U.S. Capitol in the backdrop, Matthew Welborn (left) of Norman North High School got a crash course in federal government as one of the two Oklahoma delegates to the U.S. Senate Youth program. Photo by Jakub Mosur and Erin Lubin. 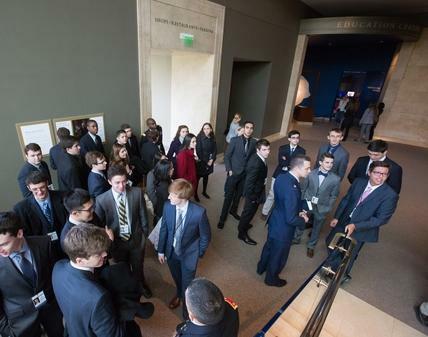 Nathan Levit (yellow and blue striped tie) of Booker T. Washington High School in Tulsa got a crash course in federal government as one of the two Oklahoma delegates to the U.S. Senate Youth program. Photo by Jakub Mosur and Erin Lubin. 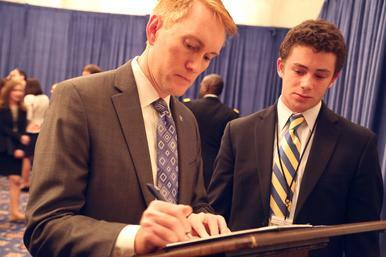 Student Nathan Levit met with U.S. Sen. James Lankford during his weeklong visit to Washington, D.C. as an Oklahoma delegate in the U.S. Senate Youth program. Photo provided by Sen. James Lankford. 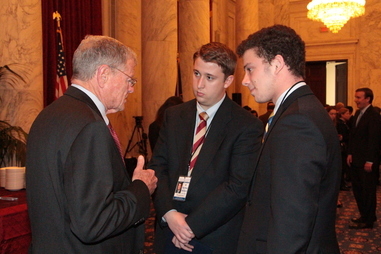 U.S. Sen. Jim Inhofe spoke with Oklahoma's delegates in the U.S. Senate Youth Program when the students spent a week in Washington, D.C. Matthew Welborn is a senior at Norman North High School, and Nathan Levit is a senior at Booker T. Washington High School in Tulsa. Photo provided by Sen. Jim Inhofe. 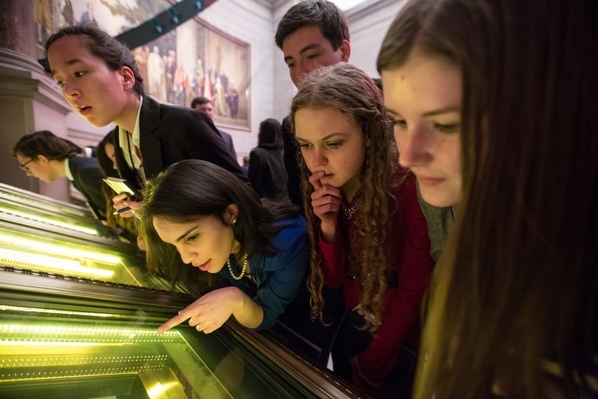 The U.S. Senate Youth Program is an exclusive event that invites 104 young people from across the country to a weeklong insider’s look at Washington, D.C. Photo by Jakub Mosur and Erin Lubin.